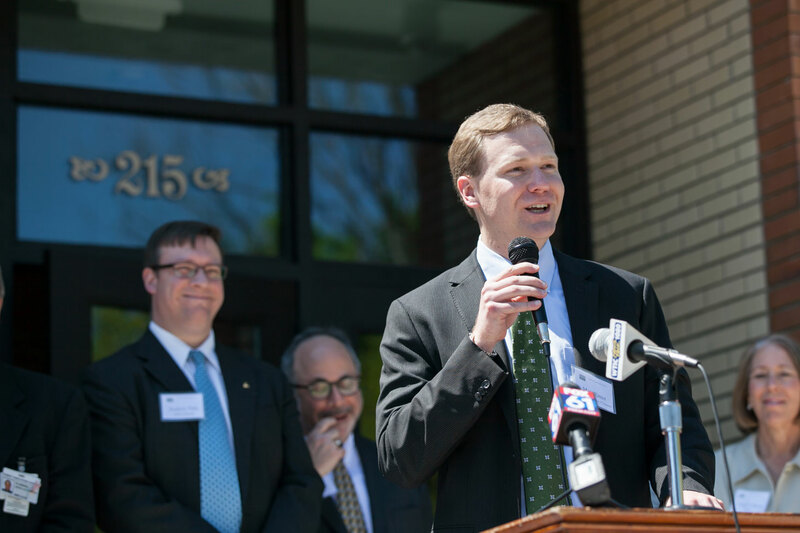 Yesterday I joined Governor Malloy, Mayor Luke Bronin, and the Northside Neighborhood Alliance (NINA) for the grand opening of the renovated Zunner building in Hartford. After significant renovations, the previously neglected property at the corner of Ashley and Garden Street will now offer new retail, residential, and office space in the historic Asylum Hill neighborhood. I’ve been a strong supporter of the renovation from the beginning, and it’s amazing to see the full transformation. The remodeling has preserved the historic aspects of the building that characterize the Asylum Hill neighborhood, while opening up new opportunities for business and housing. It’s a great investment that will revitalize the surrounding area. I'm proud to have supported this project by helping to secure a State Urban Action Grant, which funded the building's new entryway and elevator. The building offers three retail spaces and four spacious apartment units. The third floor of the building will be the new home of the Hartford Community Loan Fund.